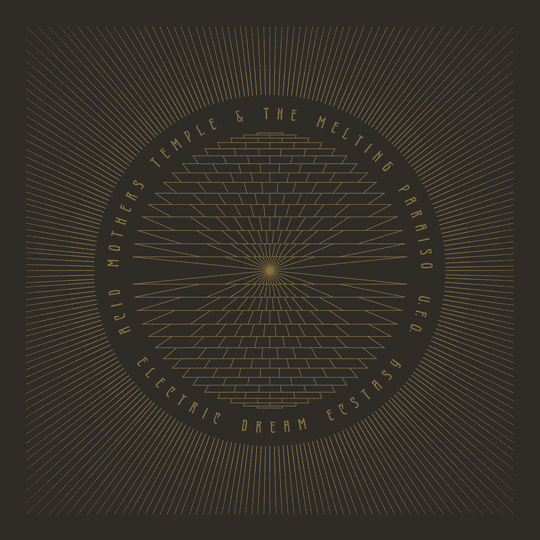 Prepare yourself for the powerful sounds emanating from the new Acid Mothers Temple & The Melting Paraiso U.F.O. chapter! With a renewed and strong rhythm section featuring two young and extremely talented Japanese musicians – Satoshima Nani on drums and Wolf, on bass – and the one-of-a-kind vocalist Jyonson Tsu, the master guru Kawabata Makoto is clearly re-energized and totally in sync with his cosmos. Electric Dream Ecstasy encompasses one of the absolute best moments of this legendary Japanese psychedelic rock group. From the soon-to-become-a-classic wild, yet beautifully composed opening track “From Planet Orb With Love” to the utterly different “Pink Lady Lemonade” versions. One acoustic with pastoral, complex string arrangements, ghostly synths and harmonica and a side-long epic proto-disco composition heavily held down by the new rhythm section and its Kraut-influenced hypnotic repetition. Crossing the borders of improvisation and moving towards free composition, Electric Dream Ecstasy is a true landmark from one of the most beloved bands of all time. 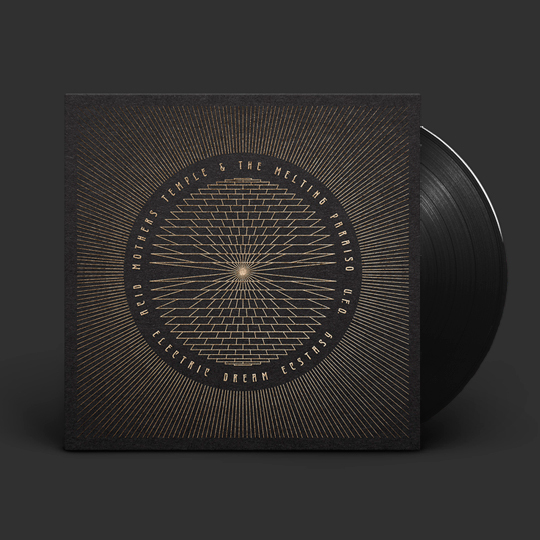 Limited to 200 copies on Black vinyl. Housed on screenprinted heavy-weight black stock sleeve with gold ink. Utterly different artwork from the CD edition displaying amazing visuals by Penabranca. 180g high-quality wax. Also available on CD and Special Edition. About Acid Mothers Temple & The Melting Paraiso U.F.O. Produced & mixed by Kawabata Makoto.